Workplace Wellness Programs – Are They For You? One of the many provisions buried in the Affordable Care Act is the ability for employers to set up workplace wellness programs that incentivize employees to take better care of themselves. A healthier workforce doesn’t just reduce insurance premiums. It’s also a workforce that is more productive when it’s at work and that takes fewer days off when ill. 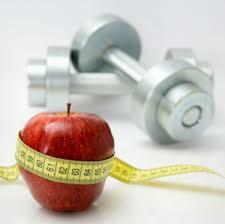 There are two different types of workplace wellness programs. A participatory wellness program is a program that provides a reward to employees that perform an action. Some examples of participatory programs include when a company provides access to a fitness center for anyone who chooses to use it, provides a bonus for taking a diagnostic test or incentivizes employees to attend health-related educational programs. If a company chooses to implement a health-contingent program, it can offer a reward equivalent to up to 30 percent of an employee’s cost of health coverage. A program that is tied to stopping smoking can have a reward of up to 50 percent of a worker’s insurance coverage cost. An activity-based program is a program that focuses on getting an employee to take a certain activity towards improving their health. While a participatory program might include company support towards the cost of a gym membership, an activity-based program would require that worker to go to the gym on a predefined basis to earn the reward. Another example would be a reward tied to successfully completing a dieting program or committing to walk a certain number of times per week for a certain number of minutes per session. Outcome-based programs focus on what a worker achieves rather than on what he does. An outcome-based plan starts with measuring a worker’s health. It can then set a goal for the measured standard. These programs can be tied to lowering cholesterol, lowering blood pressure or to reducing body-mass index. In these programs, the result is more important than the inputs that go into achieving it. Whether a company chooses an activity- or an outcome-based program, the rewards are calculated the same way. Rewards are based on the total cost of coverage, spanning both the employer’s and the employee’s payment .For instance, if an employee’s coverage costs $4,800 per year and the employer offers a 30 percent rebate, the employee would receive a bonus of $1,440. She would receive the bonus regardless of whether she pays $1,200, $2,400 or more of her total healthcare cost. Workplace wellness programs must comply with other federal laws, including the Americans with Disabilities Act. This means that they must have an alternate path for employees to earn a reward if they are unable to comply with the initial terms of a reward. For instance, an employee in a wheelchair won’t be able to participate in a program that incentivizes walking, so some other type of incentive must be put in place for them. The rules underlying both activity- and outcome-based workplace wellness programs are complicated. Adding in the additional risks of legal exposure that come with creating incentives that are meaningful but also available to every employee makes the process even more challenging. 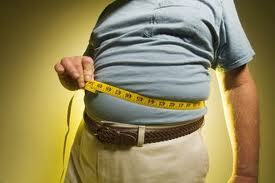 However, the benefits to be reaped from a healthier workforce are also well worth it in the long run. Transition Policies for Cancelled Healthcare Plans? The Affordable Care Act (ACA) includes key reforms that create new coverage standards for health insurance policies, beginning in 2014. For example, effective for 2014 plan years, the ACA imposes new modified community rating standards and requires individual and small group policies to cover a comprehensive set of benefits. Over the last few months, millions of Americans have received notices informing them that that their health insurance plans are being canceled because they do not comply with the ACA’s reforms. President Obama has received criticism that these cancelations go against his assurances that if consumers have a plan that they like, they can keep it. Both Republican and Democrat members of Congress have been advocating changes to the ACA to resolve the cancelation issue. Responding to pressure from consumers and Congress, on Nov. 14, 2013, President Obama announced a new transition policy for 2014. Under the new policy, individuals and small businesses whose coverage has been canceled (or would be canceled) because it does not meet the ACA’s standards may be able to re-enroll or stay on their coverage for an additional year. However, this one-year reprieve may not be available to all consumers. Because the insurance market is primarily regulated at the state level, state governors or insurance commissioners will have to allow for the transition relief. Also, health insurance issuers are not required to follow the transition relief and renew plans, and have expressed concern that the change could disrupt the new risk pool under the federal and state Health Insurance Marketplaces. The Department of Health and Human Services (HHS) outlined the transition policy in a letter to state insurance commissioners. For 2014, health insurance issuers may choose to continue coverage that would otherwise be terminated or canceled due to the ACA’s reforms, and affected individuals and small business may choose to re-enroll in the coverage. Under this transitional policy, health insurance coverage in the individual or small group market that is renewed for a policy year starting between Jan. 1, 2014, and Oct. 1, 2014 (and associated group health plans of small businesses), will not be considered to be out of compliance with specified ACA reforms if certain conditions are met. According to HHS, it will consider the impact of the transition relief in assessing whether to extend it beyond the specified timeframe. The transitional relief is not available to grandfathered plans because these plans are not subject to most of the ACA’s market reforms. According to President Obama, the transition relief is an extension of the grandfathered plan rules to additional health insurance policies. Coverage of the essential health benefits package. The transition relief only applies with respect to individuals and small businesses with coverage that was in effect on Oct. 1, 2013. It does not apply with respect to individuals and small businesses that obtain new coverage after Oct. 1, 2013. All new plans must comply with the full set of ACA reforms. 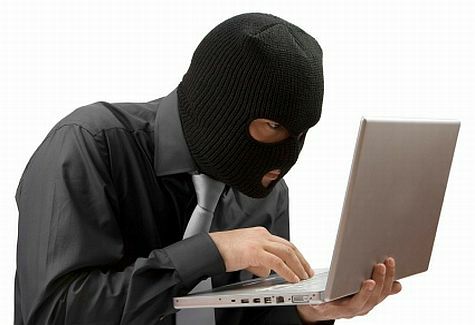 Also, the health insurance issuer must send a notice to all individuals and small businesses that received a cancelation or termination notice with respect to the coverage (or to all individuals and small businesses that would otherwise receive a cancelation or termination notice with respect to the coverage). Their right to enroll in health insurance coverage outside of a Marketplace that complies with the specified market reforms. Where individuals or small businesses have already received a cancelation or termination notice, the issuer must send this notice as soon as reasonably possible. Where individuals or small business would otherwise receive a cancelation or termination notice, the issuer must send this notice by the time that it would otherwise send the cancelation or termination notice. For better or for worse, the Affordable Care Act is upon us. As more and more of its details get released and as businesses like yours start to make adjustments to deal with its requirements, some unintended consequences are arising. Here are some of the problems that businesses are dealing with or will soon have to deal with. Companies are cutting full-time employee hours back, turning them into part-time employees that aren’t counted towards the Affordable Care Act’s 50 employee threshold. Part-time workers are having their hours cut back to ensure that they stay under the 30 hour limit. It’s not clear yet what the long term consequences are of these cut backs, but this certainly stands out as a trend to watch in the coming year. The nature of the individual insurance provisions and mandates of the Affordable Care Act create an incentive for healthy people to stay uninsured. First, the penalty for being uninsured is in many cases much less than the cost of insurance. Second, the requirement that exchange plans accept anyone at any time means that an uninsured person would only need to sign up at the instant that they need care. This process leads to the phenomenon of adverse selection, which refers to when only people that are bad risks choose to be insured. Since insurers will have a higher proportion of claims to premiums from their private business, they may have to compensate for the additional expenditures by raising premiums on their employer clients who pay all of the time. As a result of the costs of complying with the Affordable Care Act, many companies are dropping coverage for spouses. While this, in and of itself, was an unintended consequence, it brings up a second set of challenges. If you employ one of the newly-uninsured spouses, you could find them coming to you, asking to be added to your workplace plan, if you offer one. This could generate more expense for you as an employer to pay the cost of their coverage. Some states offer special plans that help their citizens or small businesses either defray the cost of health insurance or provide a basic level of insurance. If these programs aren’t compatible with the Affordable Care Act’s provisions, they can be cancelled. One example of this is Tennessee’s CoverTN plan, whose $25,000 annual benefit cap made it a perfect adjunct for businesses that offer low-cost, high deductible plans. 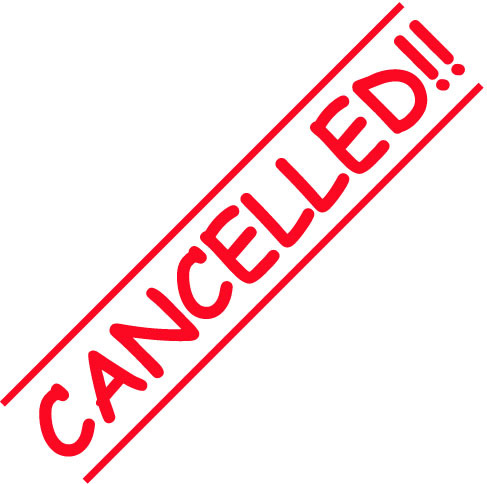 It will be cancelled effective January 1, 2014. Given that insurance from the Affordable Care Act exchanges hasn’t come into effect yet and that the mandates that apply to individuals and employers also aren’t fully operational, the true impacts of the bill remain to be seen. As of now, many unintended consequences for business have already been identified but if history is any indicator, more may be coming down the line as the law’s implementation grows. The Affordable Care Act (ACA) creates a transitional reinsurance program to help stabilize premiums in the individual market for the first three years of Exchange operation (2014-2016) when individuals with higher-cost medical needs gain insurance coverage. The program imposes a fee on health insurance issuers and self-funded group health plans. Modify the collection deadlines for the fees to reduce the upfront burden to plans and issuers. Contributions to the reinsurance program are required for health plans (fully insured and self-insured) that provide major medical coverage. Certain types of plans are exempt from the requirement to pay reinsurance fees, such as health flexible spending accounts (FSAs), health reimbursement arrangements (HRAs) that are integrated with major medical coverage, health savings accounts (HSAs) and coverage that consists solely of excepted benefits under HIPAA (for example, limited-scope dental and vision plans). For insured health plans, the issuer of the health insurance policy is required to pay the reinsurance fees. For self-insured health plans, the plan sponsor is liable for paying the reinsurance fees, although a third-party administrator (TPA) or administrative-services only (ASO) contractor may be used to make the fee payment at the plan’s direction. The reinsurance program’s fees are based on a national contribution rate. The reinsurance fee mainly consists of amounts collected to cover reinsurance payments and administrative costs, but it also includes funds that must be deposited into the general fund of the U.S. Treasury. For 2014, the national contribution rate is $5.25 per month ($63 per year). The national contribution rates for 2015 and 2016 have not been established yet. The reinsurance fee is calculated by multiplying the number of covered lives (employees and their dependents) during the benefit year for all of the entity’s plans and coverage that must pay contributions, by the national contribution rate for the benefit year. HHS has indicated that issuers and plan sponsors will be required to submit an annual enrollment count to HHS no later than Nov. 15 of 2014, 2015 and 2016 based on enrollment data from the first nine months of the year. Within 30 days of this submission or by Dec. 15, whichever is later, HHS will notify each issuer or plan sponsor of the amount of its required reinsurance contribution. The issuer or plan sponsor would be required to remit this amount to HHS within 30 days after the date of HHS’ notification. In the preamble to the final rule, HHS states that it intends to propose in future rulemaking to exempt certain self-insured, self-administered plans from the requirement to make reinsurance contributions for the 2015 and 2016 benefit years. At this point, it is not clear which self-insured plans will be covered by the proposed exemption. However, it appears that self-insured plans will be required to pay the reinsurance fees for the 2014 benefit year. HHS also intends to issue a proposed rule that would change the collection method for the reinsurance fees. Under the revised collection method, the fees would be collected in two installments to reduce the upfront burden to plans and issuers. The fee for reinsurance payments and administrative expenses would be collected at the beginning of the year and the fee for payments to the U.S. Treasury would be collected at the end of the year. Under this payment schedule, a larger payment would be due in January 2015 and a smaller one would be due in December 2015 for the 2014 reinsurance fee. These changes will not become effective until HHS issues additional guidance. Contact your Texas Associates Insurors representative for more information on the ACA’s reinsurance fees. 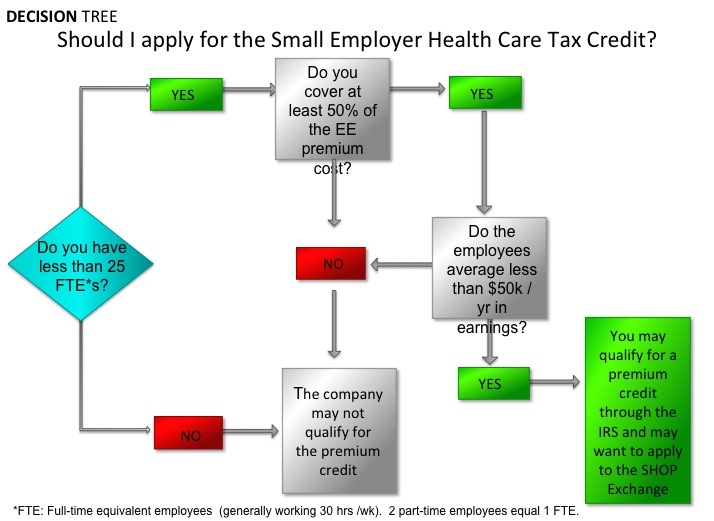 The small employer tax credit was created in 2010 upon the passage of the Affordable Care Act. Next year, a few key aspects of the tax credit will change. For 2014 and later taxable years, the maximum credit increases to 50 percent of premiums paid for taxable small employers and 35 percent of premiums paid for tax-exempt small employers. But those credit percentages are based on the average premium in the small group market in the rating area where employees sign up, instead of the specific premium chosen by employees. Also beginning in 2014, the health care tax credit is only available to an employer for two consecutive taxable years, and cannot start before the 2014 taxable year. Finally, the new rules require employers to obtain group coverage through an Exchange to claim the credit. Please contact Texas Associates Insurors for more information on the small employer tax credit. Dana Rostro is the Director of Employee Benefits Sales and Operations at Texas Associates Insurors. On Sept. 13, the Internal Revenue Service (IRS) and the Department of Labor (DOL) issued guidance on how certain Affordable Care Act (ACA) rules apply to health reimbursement arrangements (HRAs), health flexible spending accounts (FSAs) and cafeteria plans. Under the new guidance, a group health plan, including an HRA, used to purchase coverage on the individual market cannot be integrated with that individual market coverage for purposes of the ACA’s annual dollar limit or preventive services requirements. This means that an HRA will need to be integrated with another group health plan to satisfy these rules. Health FSAs must be offered through a cafeteria plan to be exempt from the annual limit prohibition. Also, health FSAs must qualify as “excepted benefits” to meet the preventive services requirements. Finally, beginning in 2014, premiums for individual coverage through an Exchange cannot be reimbursed or paid for under a cafeteria plan. For cafeteria plans that do not operate on a calendar-year plan year (as of Sept. 13, 2013), this restriction will apply beginning with the 2014 plan year. However, individuals may not claim a premium tax credit for any month in which they are covered by an individual plan purchased through an Exchange as a benefit under a cafeteria plan.